These reflections are the fruit of a Yuletide conversation, over coffee and sweets, with Erica Rodrigues. Santa Claus has returned to the North Pole. The gifts have been unwrapped, gingerbread houses have been dismantled, and all the sweets have been eaten. The deed is done. The once proud and jolly Christmas tree has been recycled. Stockings, Christmas wreaths, and ornaments have been put away. Home Alone and A Charlie Brown Christmas no longer play on every TV channel. 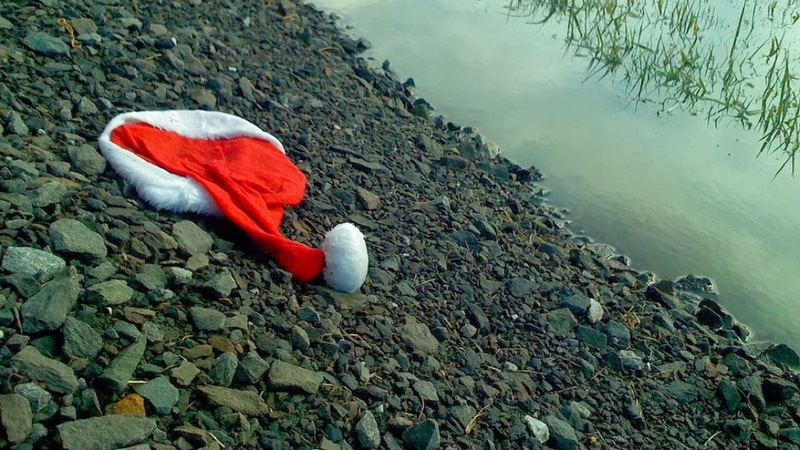 Christmas, my friends, is no more. And unless you are like me, you won’t be listening to Mariah Carey’s All I Want for Christmas Is You until late November. So, what do we take from the Christmas season? I mean, besides an incredibly high credit card bill, and a few extra pounds. What do we gain from “the most wonderful time of the year”? What do we have to show for it? I know Jesus is the reason for the season, and Christmas is all about welcoming him into our hearts. But not just Christians observe Christmas today. People of all beliefs, nations, and races celebrate Noel. Sure, the celebration is not perfect: consumerism is rampant, and the season can be lonely and stressful for many. Yet, a great many gather around loved ones to celebrate the spirit of Christmas. At Christmas time, people are more selfless, joyful, and kind. We are friendlier and we smile more. It is as if the whole world is transformed, and we are more likely to believe in small miracles. The Christmas spirit is our resolve to believe in and to celebrate the goodness of all women and men of good will. It is our aspiration for peace, fraternity, and glad tidings. That spirit is infectious, and it renews our faith on humankind. We wish it could last us all year long. However, once Christmas is over, we go back to our old selves. We stop greeting people in the street. The darkness and cold of winter make us grumpy cats. We stop trying to get along with our somewhat dysfunctional families. Also, for some, the aftermath of office Christmas parties is brutal. The busyness of Christmas is no more. It seems as if we need a holiday after the holy-days. We go back to the daily routine that was broken for a time, and some of the truly important things in our lives somehow resurface. As the New Year begins, we are invited to pause, reflect, and refocus. I wonder what we have to do in order to concentrate on everyday life without losing the joie de vivre that characterizes Christmas. Does it take such an effort to be selfless, joyful, and kind, that we can only excel at it one month out of twelve? Christmas time should always be an invitation to be more cheerful and generous. Whether we celebrate Christmas as the birth of our Saviour, or merely as our believe in the goodness of humankind, the season to be jolly should always be our inspiration to love and to serve like it is Christmas Day 365 days of the year. Perhaps we need the Christmas spirit the most throughout the year to help us to believe in small miracles. The sort of miracles we celebrate at Christmas is hearts being transformed. Scrooge learned to love and to laugh - the Grinch’s heart grew three times its size. We need the ability to believe in hearts being transformed all year long, especially because it helps us to recognize that our hearts can also be transformed. For when our hearts are renewed, it is easier to be generous and joyful. So, Christmas time is gone, at least for a little while. It does not have to stop us from singing a Christmas carol every now and then. The spirit of Christmas is still present: Emmanuel, God with us. He invites us to celebrate the goodness, truth, and beauty present in human hearts. Jesus calls us to pay attention to our aspirations for peace, fraternity, and glad tidings. As we grow in awareness of what moves our hearts and minds, we recognize the goodness of humanity, which was redeemed by the Christ. Maybe the best way to keep the Christmas spirit alive is to contemplate the humanity of Jesus, to discover the meaning of our own humanity, and to accept our vocation to be selfless, joyful, and kind.